We talked last week about some of the biggest problems that people run into when they’re coming up with their landscape design. This included making sure the water has a good place to go when it rains, and also making sure that you’ve got the right plants for your areas and that they’ve been planted in the right place. That’s not all you have to worry about, though, so it’s important to involve a professional landscaping service in your landscape design before you plant the first tree. 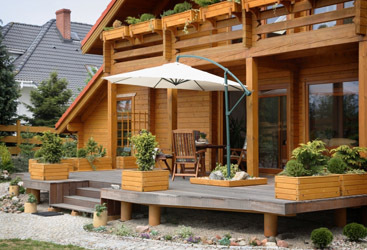 Here are a few more mistakes that Well Done Landscapes can help you avoid. It looks great outside… but what does it look like from the inside? While having a beautiful landscape will lure you outside more often, you should realize that a large amount of the time you see it will be looking outside from indoors. Make sure your views won’t be blocked, or that you won’t be looking at the backside of a plant that might die on the house-side due to lack of sun. A landscape service like us can help you avoid such a problem. It looks great in summer… but what will it look like in fall and winter? When the leaves fall, does your yard look lopsided because the evergreens were planted too close together and away from the deciduous trees? It looks great during the daytime… but what will lighting do when it’s night? Are you a fan of shadow moments caused by low lighting and a waving tree…or does it remind you too much of a haunted house? Proper landscape lighting can make or break a nighttime environment. 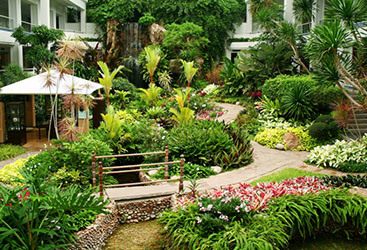 There are many mistakes that people make when dealing with proper landscape design. We can help you avoid them, so give Well Done Landscapes a call today! We began nearly a decade ago with an idea, training, and a set of values that would become the foundation of everything we do. 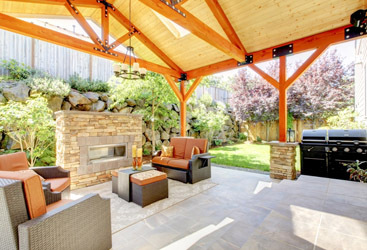 Our goal is to make every landscape, a Well Done Landscape, and yours could be next! Even if you set aside personal opinion, having a Well Done Landscape and quality curb appeal will increase your property value. Add in your pride in owning the property of your dreams, and it’s easy to see the value in what we do. 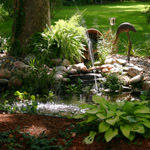 Quality water management and drainage solutions can mean the difference between costly repairs and having a landscape that is both beautiful and functional. See what our experts at Well Done Landscapes can do to improve your property.